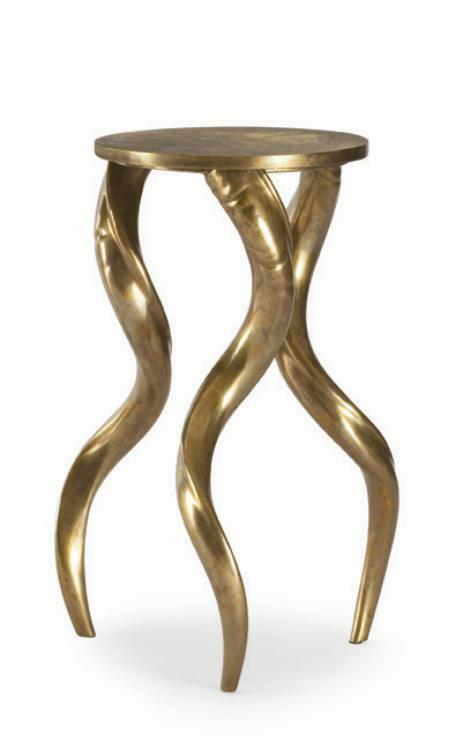 The Faux Horn Brass Side Table is created from casting real horn in a composit resin to duplicate the caracter of the original horn. The three cast horns make very interesting legs. The faux horn and the top are then electroformed in brass and finsihed in a beautiful antique brass.